but for those of you who haven’t, here it is. 5 horses, 2 people and 1 tent! They rescued five horses from an unknown fate.They sold everything they had. With daring inspiration, Jackie and Noel trained the lost and confused horses, and forced their own unfit bodies to meld into one team.Life became horses, trail, endurance, and camping: all seven reliant on one another as they trekked along part of Australia’s majestic Bicentennial National Trail. The Standardbred is a horse breed best known for its ability in harness racing at a trot or pace. How About an excerpt from “A Standard Journey”? We Won’t Even Have A Sink! Galloping down the mountain to find a gun to shoot one of our horses, I realised that I had bitten off more than I could chew. My borrowed horse sensed my fear as we plunged down the trail. My mind focused on the gun, a necessity to terminate excruciating pain. There was a broken horse on the ridge. He had released a knowing groan as his fetlock snapped. Plunge, jump, ford – I squeezed my aching legs around my brave mount. We both expelled urgent breaths from our flared nostrils. I had to find a gun! Sweat and tears mingled, running clean streaks along my grubby face, my eyes stinging. My heart banged in my chest, while the horse’s heart thrummed beneath my calf muscles. Time slowed as if we hurtled through syrup. I cursed Noel – it was his idea. Not to shoot the horse, but living with horses twenty-four seven while trekking along the Bicentennial National Trail (BNT). We had rescued five lost beasts that could have been destined for dog meat. Over many months of struggle, we had transformed the seven of us into a team. 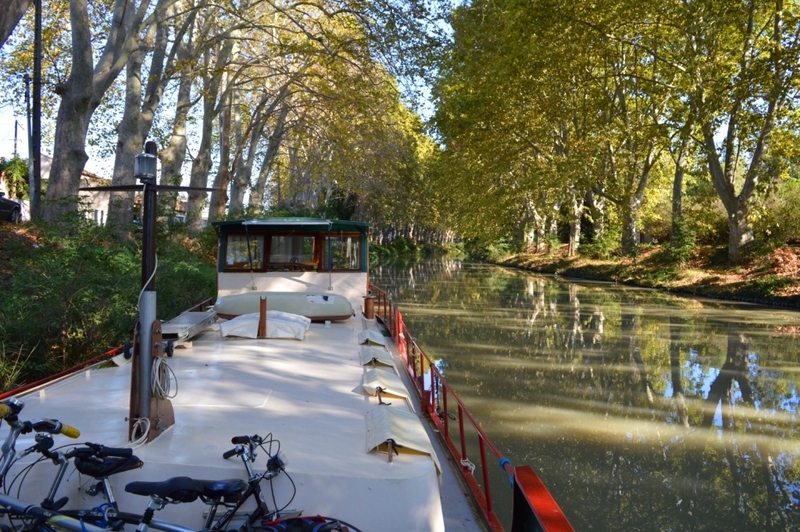 Currently Jackie is exploring the French canals on a Dutch barge with her Australian husband. Australian. She grew up with horses in the UK until her world was shattered with a heart-breaking bereavement. Disillusioned with life she ran away to Australia and met and married Noel. They decided to buy a boat and set sail. So within her first year living in a foreign land, she was getting used to a foreign husband, and a foreign life on board! Mariah II took Jackie & Noel around the world. Pyewacket II (purchased in San Francisco) took them across the Pacific Ocean for a second time on a more southerly route. Adventures include The Great Loop in the USA plus Canada’s Great Lakes and the French Canals. 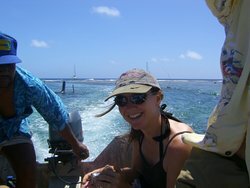 As a commercial skipper Jackie has worked internationally, and has been a Marine Rescue skipper. She has also taught commercial maritime. She co-wrote a pilot book (in America) and several hundred magazine articles worldwide. Cruisers’ AA (accumulated acumen) was Jackie (and Noel’s) first self-published book. Jackie Parry is also a blogger, and she’s a natural! You won’t be disappointed by what you find on either of these blogs. 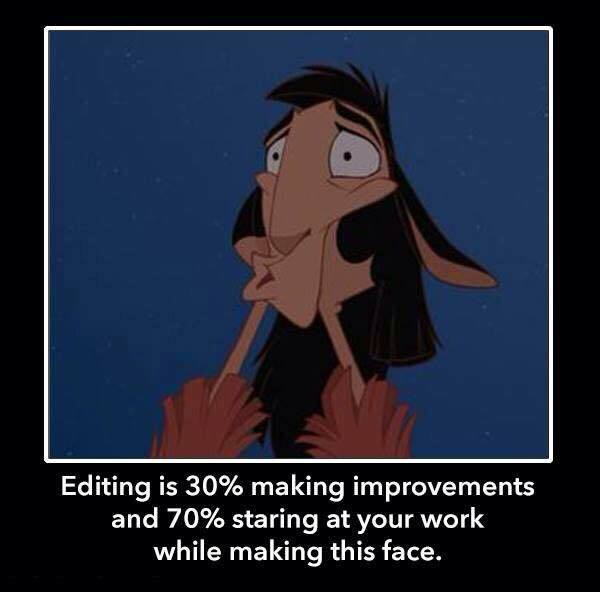 You may even get a chuckle or two! You can also find her on social media channels! Please take a moment to leave us a comment, and please don’t pass this book up, you will love it! Leave A Review For The Author, Just A Few Words Of Encouragement Are All It Takes! Categories: Blog | Tags: bestseller, extraordinary stories, Horses, living life to the full, memoirs, trail riding, travel, writing | Permalink. As an author, currently writing my third memoir, I’ve become a fan of all memoirs. Monday 31st August is We Love Memoirs Day and will be celebrated worldwide. 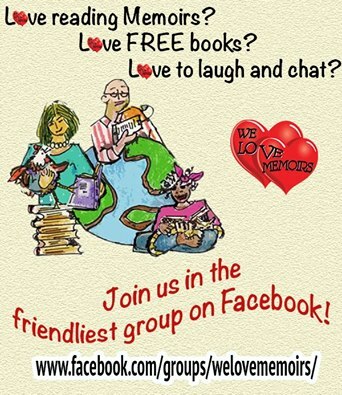 We Love Memoirs (WLM) Facebook group was set up on 31st August 2013 by two memoir authors, Victoria Twead and Alan Parks, who wanted to create a place where memoir readers and authors could come together and chat. Victoria and Alan were determined to foster a warm community and have always discouraged authors from pushing their own books at readers. The results have been astounding, and WLM has grown quickly. New friendships are formed every day, and WLM meet-ups across the globe have become common. Small wonder that We Love Members is often described as “the friendliest group on Facebook”. Whether you love writing or reading memoirs (or both), you’ll love this group. Join WLM today and start chatting with memoir authors and readers. Categories: Blog, Writing Woes & Wins | Tags: author, bestselling, facebook group, fun, join, memoirs, party, readers, support, writers, writing | Permalink. As an author of memoirs, I indulge in this genre more than I ever did before. I do read all genres and enjoy the vivid and varied styles and stories. Here are two reviews for memoirs I’ve recently finished. So much enjoyment! 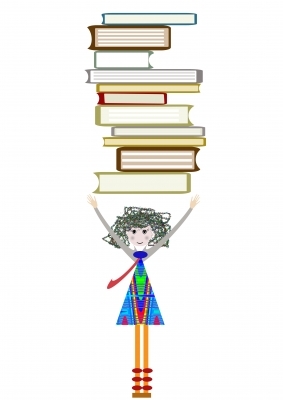 So many books – so little time…. Moving to South Africa with her husband and young girls was a challenge Valerie Poore tackled with endearing humility and humour. Their time there is a picture story created through vivid prose. As she recalls the unique culture and charming characters I was taken on a journey where I could experience the countryside and feel her frustrations while enduring the tough challenges that a new culture brings. This is beautifully written with down to earth, honest style. I’ve read other books from Valerie Poore and I shall be reading more. 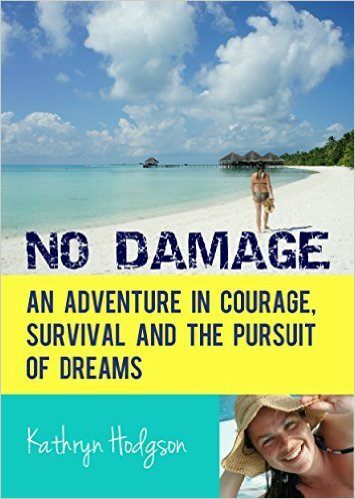 This lady is smart, courageous, warm and funny – and this book will put a smile on your face. Here’s a lady with enormous human spirit and a knack to laugh at herself. Told with searing honesty, Kathryn takes you on a journey of love, loss, heartache, joy and redemption. Her most intimate decisions are shared, discussed, analysed and carried out with equal measures of humour, sadness, fear and validation. Although at times I felt a tiny bit uncomfortable with her self-justification for some of those decisions – I still couldn’t wait to settle down each evening to be carried along with her sentiments and emotions. I wanted to see which one of life’s challenges would knock her flat next – and how she’d stand up and slap it right back! These ‘life-lessons’ are experienced by us all, but Kathryn makes it a fun ride that’s all wrapped in the chaos of two lunatic, adorable dogs. If you are a similar age and you like an entertaining read on handling the lumps and bumps of life that is loaded with sentiment – this book is for you. I would have loved to have more written dialogue between Kathryn and her dynamic friends, to really hear how they carried her through the difficult times – but that’s just a personal perspective and takes nothing away from a great read! 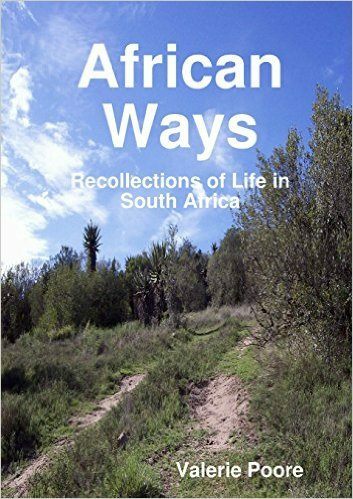 Categories: Blog | Tags: africa, authors, courage, diving, memoirs, reviews, sailing, travel, women travel, writing | Permalink.